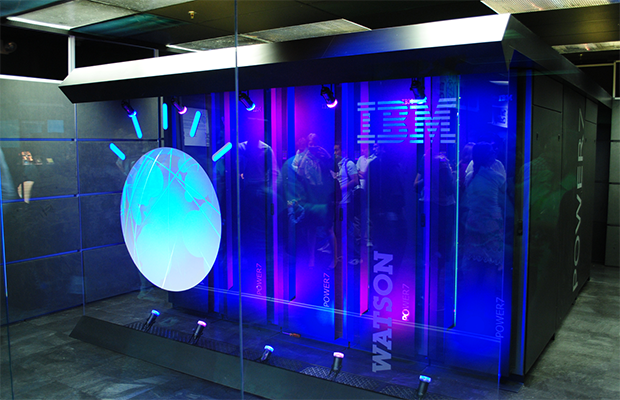 IBM's supercomputer, known as Watson, made a name for itself after beating human contestants on Jeopardy back in 2011. In the meantime, Watson has been out of the publicity game. IBM has been finding business applications for the computer that understand speech, solve problems and reference enormous amounts of learned data. It has been implemented in a range of fields, from automated help desks to utilization management decisions in lung cancer treatment. Watson has also been learning Japanese. While teaching artificial intelligence, any human language is hard enough in its own right. But Japanese is an especially complex form of communication. According to Forbes, "Written Japanese uses four scripts: a phonetic (Romaji), two syllabics (Hiragana for Japanese words and Katakana for foreign words), and a logographic (Kanji). Each character must be 'understood' and interpreted properly. In addition, Japanese grammatical structure and syntax are quite different from English and other Western languages. These idiosyncrasies require their own parser, tailored to Japanese language, which is among the most complex in the world." Now that Watson is getting the hang of the language, IBM has partnered with Japan-based tech giant SoftBank to begin implementing its usage in country which has the third-largest GDP in the world. While the astonishingly complex AI system will be used by businesses and partners in many of the same ways that it has been in the U.S., one field that shows a lot of promise is robotics. The Japanese are far more comfortable with integrating robots into their daily lives than many western cultures, and they have more advanced technology in the field.